The Fraternal Order of Eagles was founded in Seattle, Washington in 1898, by 6 competitive theater owners who gathered to solve a common problem. Having solved their problem, their competitiveness changed to camaraderie and eventually gave birth to the Fraternal Order of Eagles. Good things are happening at Aerie 34, in part because our reputation is growing as the best place in town for live music and dancing, for great food at reasonable prices, and the best place to hold family events. Members and patrons comment on our clean friendly atmosphere where they feel at home. Minneapolis Eagles #34 has two halls available for rent. Our large hall has a PA, stage, and room for several hundred people. Our smaller hall has a PA, stage, and room for less than 200 people. 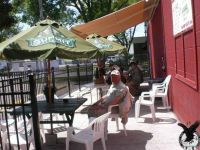 We have a full bar available, kitchen, and plenty of free parking. We are also conveniently located within a mile of Interstate Highway 94 in Minneapolis. We can work with you to put on many different kinds of events that will be fun for everybody and at a very reasonable price. We have hosted hundreds of parties and functions at our club; such as birthdays, CD release parties, company parties, bowling banquets, award ceremonies, benefit concerts, family reunions, class reunions, meetings, fundraisers, etc. 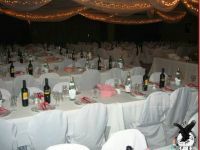 Call us today to discuss any of your hall rental needs and check availability. We do give special consideration to groups doing charity and benefit shows, and we may be able to help you with your event by reducing the cost of our halls & kitchen in those situations. Monday 9am - 1am 11am - 2pm / 5:30 - 8:30pm Pizza till close. Tuesday 9am - 1am 11am - 2pm / 5:30 - 8:30pm Pizza till close. Wednesday 9am - 1am 11am - 2pm / 5:30 - 8:30pm Pizza till close. Thursday 9am - 1am 11am - 2pm / 5:30 - 8:30pm Pizza till close. Friday 9am - 1am 11am - 2pm / 5:30 - 8:30pm Pizza till close. Saturday 9am - 1am 3pm - 9pm Pizza till close. Sunday 9am - 1am 9am - Noon Pizza till close. Live Music See our website for details. Times vary.